This is the first instalment of our Matariki resource for 2016. 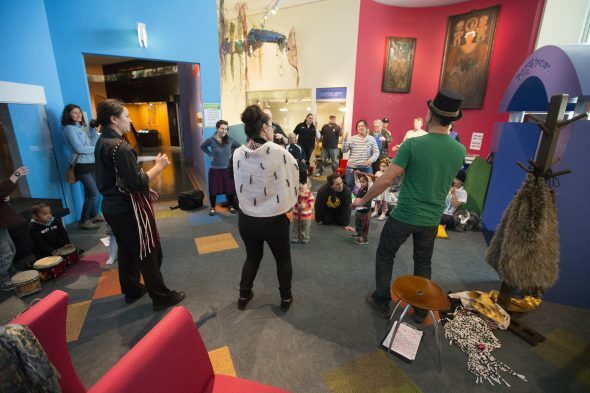 Celebrate Matariki, the Māori New Year, by learning about te whare tapere (the traditional Māori house of entertainment) and the role of kōrero pūrākau (storytelling). Plus, pick up some activity ideas for use in your classroom. 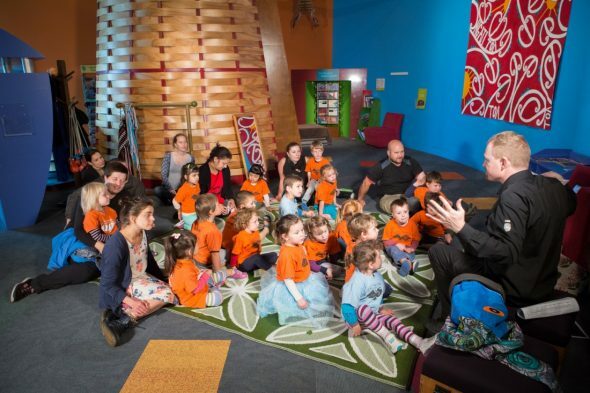 This resource helps you access elements of Te Papa’s Matariki education programmes, no matter where you are in Aotearoa New Zealand. 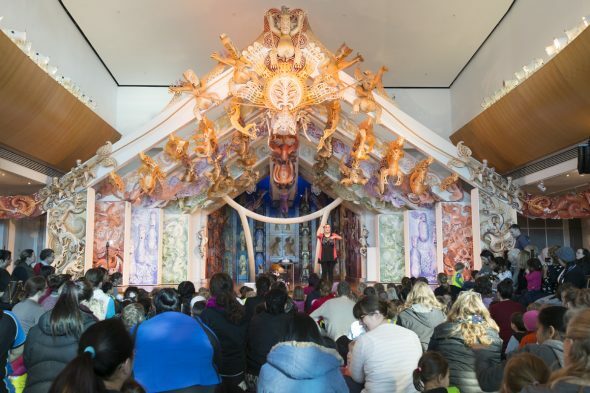 The above theme was gifted to Te Papa by our iwi (tribe) in residence, Ngāti Toa Rangatira. It relates to the long-standing tradition of kōrero pūrākau (storytelling) during Matariki. It recognises the strength of Ngāti Toa storytellers today and encourages the emerging storytellers of tomorrow. Traditionally, the reappearance of the Matariki star cluster (the Pleiades or Seven Sisters) – or of Puanga (Rigel) for some western and southern iwi (tribes) – coincided with the end of the harvest season. Winter food stocks were plentiful, and less work was needed in the gardens. As people had time to apply their energies to other activities, a time of renewal began. People spent time with whānau (family), reflected on the year that had been, and made plans for the future. It was a time for wānanga (deeper learning) – coming together to pass on mātauranga (knowledge). It was also a time for leisure and entertainment. Use these teaching resources to learn more about te whare tapere. 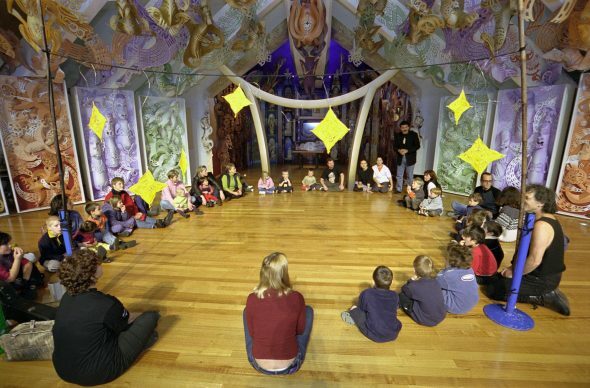 Engaging Creatively with Locality: Te Whare Tapere, from the Education Outside the Classroom section of Te Kete Ipurangi (TKI). ‘The origins and history of Whare Tapere’ – Part 1, by TVNZ’s Waka Huia. In te reo Māori with English subtitles. Note: mature themes arise during the telling of the legend of Tinirau and Kae. ‘The origins and history of Whare Tapere’ – Part 2, by TVNZ’s Waka Huia. In te reo Māori with English subtitles. The role of te whare tapere in Māori society fell into disuse in the 19th century, but it has been revived in recent years – particularly through the work of Professor Te Ahukaramū Charles Royal with initiatives such as Ōrotokare. 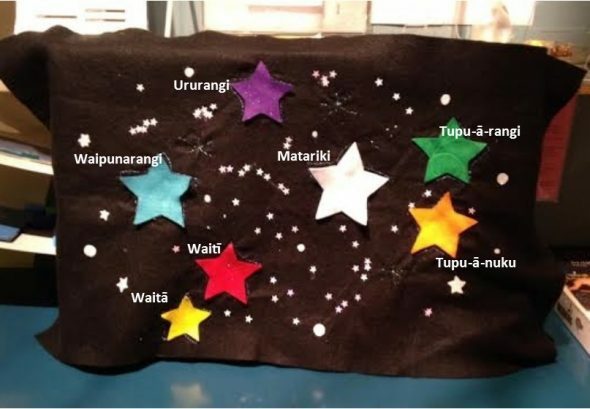 Different types of stories were shared in te whare tapere during Matariki. Like today, each storyteller would have had genres (types of stories) they specialised in – for example, histories or comedies. Some stories would have been very old, passed down through the generations. Others would be newly imagined, perhaps especially for that occasion. Storytelling was dynamic and lively, involving embellishing elements such as whakameremere (theatrics), waiata (songs), and haka (dance). These same elements can be experienced in formal and informal storytelling on marae (communal meeting places) today. Unlike some Māori traditions, kōrero pūrākau has continued to be practised to the present day. It’s up to all of us – kaiako (educators), whānau, and tamariki – to nurture this vibrant and powerful custom for the generations to come. You can make your classroom or community space into a house of entertainment by developing an area for performance. Provide materials to help inspire imaginative responses, such as dress-ups, props, performance equipment, musical instruments, and puppets. If you don’t have room for a dedicated space, you could create a temporary whare tapere by positioning bodies, as in the picture below. 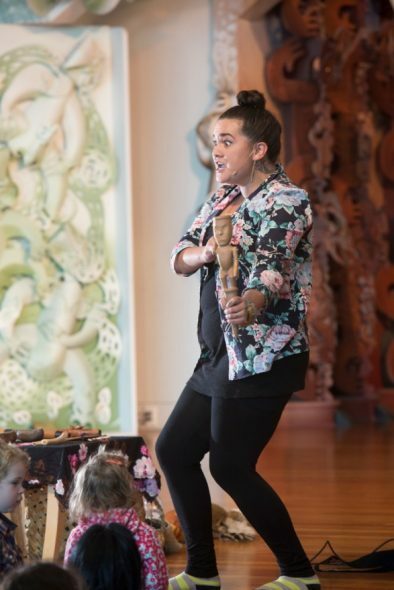 Work with tamariki to put together dramatic retellings of their favourite Māori myths, legends, and contemporary stories. Then perform them for friends and whānau. children’s Māori story books, such as those listed on the McLeods Booksellers website. 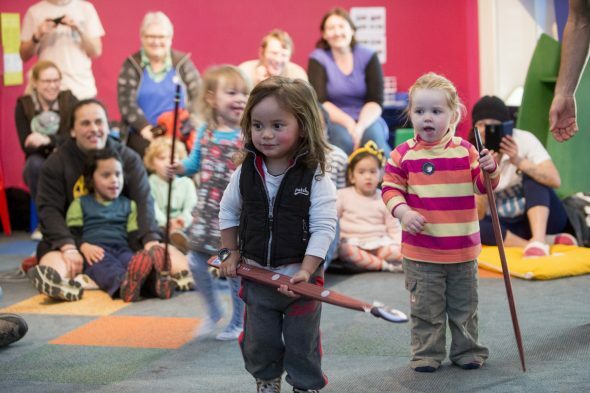 Encourage children to create new stories that showcase Matariki as a time for renewal. We recommend the following themes. Reflection Invite students to reflect on the past year – what they did and what they learned. Then ask them to craft a story that will preserve these important memories for the future. Celebration Matariki is a great time to acknowledge the people and places that matter to us. Encourage students to create a story that acknowledges the best qualities possessed by their friends and loved ones. They could even create one about themselves! Have them share why their special places have significance to them and to their whānau. Whānau includes extended family, so people and places important to your class, centre, or school could apply. Forward planning Ask students to consider how they could plan to enjoy more of the things they value in the year ahead. Then ask them to make a story about how these plans might unfold, including the possible outcomes of their actions. For example, the Manaia class (Years 3 and 4) from Mount Cook School created a story about activities for their next school picnic. Ngā mihi nui to Charles Royal, Te Papa’s Director Ngā Manu Atarau, for your help with this content. In Part 2, we’ll explore movement and dance in kōrero pūrākau (storytelling). Tēnā korua a Makaira raua ko Charles mo tēnei rauemi. Ngā mihi ki a koe whanaunga a Charles. Kei te pewhea koe me tou hoa rangatira?